State Sen. David Parks appears on his way to re-election in District 7. Democratic candidate and incumbent for Nevada Senate District 7, David Parks, will face off with Anthony Wernicke (not pictured) in the primary. He faces a career candidate in the primary, only a Libertarian in the general. And no Republicans are challenging him in the Las Vegas district where Democrats hold a nearly 2-to-1 voter registration advantage. Parks termed out as an assemblyman representing District 41 after 12 years, then was elected to the state Senate. 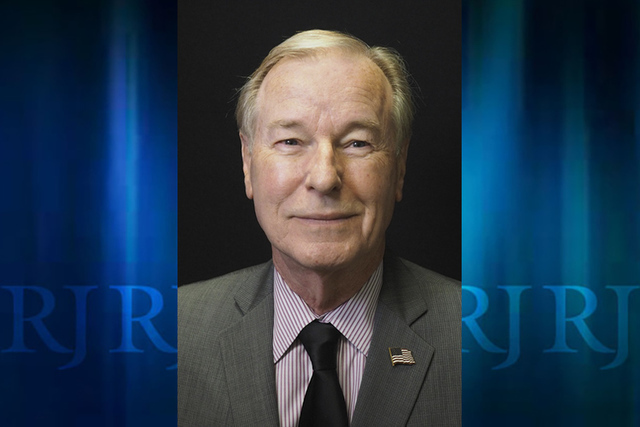 He also was assistant director of the Clark County Regional Transportation Commission in the ‘90s and directed the Las Vegas office of budget and management in the early ‘80s. Parks said his finance background led him to sponsor a 2011 bill that created a state grant office that works to secure more federal grants. In 2015, he was a primary sponsor for a bill that would have allowed terminally ill patients to end their lives by taking lethal medications prescribed by doctors. Ultimately, the “death with dignity” bill was not heard; Parks plans to reintroduce it if re-elected. Nevada secretary of state records show Parks had about $8,000 in campaign contributions in 2015 and spent about $8,500. Of those contributions, the committee to elect Chris Giunchigliani for Clark County Commission gave $1,500. Anthony Wernicke is a retired Army veteran who has worked as a bus driver. He also worked briefly as a deputy for controversial former Las Vegas Constable John Bonaventura. Wernicke has run unsuccessfully for the Assembly, Las Vegas mayor and other positions since 2008. Aside from saying that he did not receive any contributions in 2015, he declined to answer questions for this story. When running for state Senate in 2008, Wernicke told the Las Vegas Review-Journal that he wanted workers to have more rights over their employment in Nevada, a “right-to-work” state. The winner of the Democratic primary will face Libertarian Kimberly Ann Schjang in the Nov. 8 general election.